a thoughtful blog: In Loving Memory . 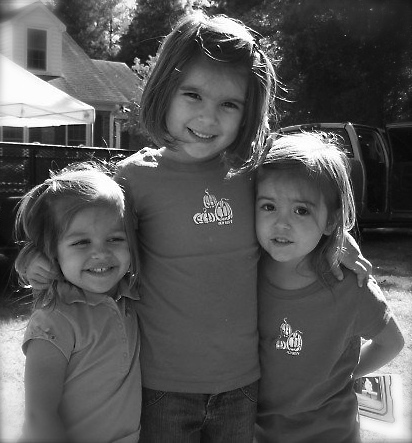 . .
Today we are remembering our dear friend Lindsey Grace Boehm, born on April 4, 2001. Sadly, we only knew her a short time before she died suddenly on November 7, 2006, at the age of 5. Last Saturday I put together a birthday box to send to her parents and sisters to show them we are remembering Lindsey's birthday today. I had a fun time thinking of all the different things I associate with Lindsey . . .
Purple, because it was her favorite color; princesses, because she LOVED them, especially Ariel; Toy Story and Star Wars, because she loved those movies too; Cars, because we went to see it in the theater with her and her family; tea parties, because she liked having them--and because Caroline and I had a special tea party with her mother and sister Cadence on the Valentine's Day after her death; butterflies, because she liked them and because they became sort of a symbol of remembering and comfort and hope after she was gone; drawing, because she was ALWAYS drawing and making cards and notes for people; and Polly Pockets, because that's what she wanted for Christmas, she told me, in late October of 2006. That Christmas, I desperately wanted to buy her Polly Pockets. I still think of that. Of course, this list doesn't even begin to speak to her intelligence or eagerness or tender heart. I remember those things too. I remember how she befriended Caroline and how much Caroline adored her. I remember how old she seemed for a five-year-old while she was living and how terribly young she seemed when we lost her. Today we are going to wear purple socks and get some purple balloons and celebrate that Lindsey was born and that we knew her. We love you, Lindsey Grace Boehm. And we love you Jason, Laura, Cadence, and Selah.